While I was out, intruders have been trying to make their way into my home. Despite security, their attempts have been relentless. That’s how I feel about spammers constantly trying to hijack my blog with their unsolicited and typically irrelevant comments in an effort to advertise a product, a service – sometimes pornographic – or make an appeal for money. It seems I spend almost as much time cleaning out the detritus as I do creating stories to post. 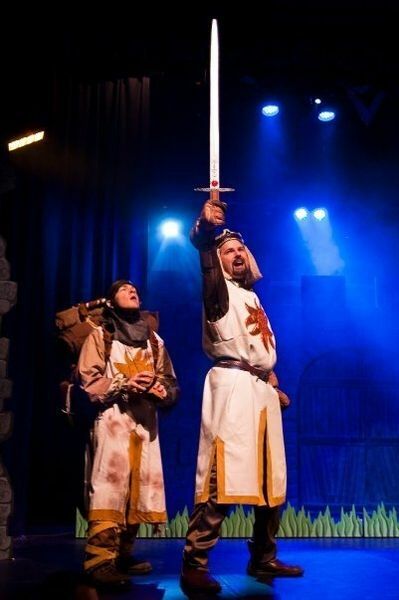 How do you separate the “spam” from the “ham?” That sounds like a job for Monty Python’s “Spam” and “Sir Spamalot.” It does get that ridiculous. Imagine that you are at the Green Midget Cafe in Bromley, surrounded by a group of Vikings. In this Monty Python sketch, everything on the menu/comments contains Spam. Instead of thoughtful, funny comments to your blog, you get spammed – a lot. Spamhaus says the sending of Unsolicited Bulk Email (“UBE”) is banned by all Internet service providers worldwide. Violators could wind up losing their Internet accounts and access if they send UBE, according to Spamhaus’ website. 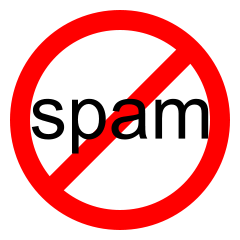 What can you do to limit or stop spam? Do not respond to it. Filter it out of your e-mail and complain to providers about it. You also can take action through anti-spam organizations and thru any laws that might apply in your state. What do you think can be done to stop this unwanted intrusion? Comment below. Google chrome my browser – its pretty good blocking. What is interesting about much of it is that the English sentence structure seems askew as does some impreciseness of vocab which leads me to conclude faulty translations East European, Oriental or Arabic. Now here one for you. Last week I resubscribed to the federal “do not call thing” and I have been getting phone telemarketing in an avalanche ever since. Thanks for the advice, Carl. I just crack up when I get a spammer informing me that there are spelling errors in my blog. (It’s proofread by me – an English major – and by husband who is an editor/reporter.) Their intention is not to be helpful, but to get you to respond. That way they get credit for the “clicks” to their postings. What is more astonishing to me is the telemarketers that ARE allowed by law are some of the same ones I wish to avoid. When I first started blogging, WordPress was really good at catching the spam. I would smile at the comments telling me they could improve my poorly read blog if only…However, in the past couple weeks, they has been getting into my comments queue. Not sure what’s going on but hope WP can resolve. Sorry you are going thru this. Do you use Akismet or any other filter? Have you notified WP? I admit it is frustrating. I think Akismet is what WP uses. Haven’t had any the past week so perhaps things are better. Sometimes I think when they do an update, odd things happen. I now review all comments before posting. Akismet has been really great in catching spam. Only a few got by Akismet’s filter who shouldn’t have. Only one was mislabeled as spam – and I corrected that. I feel your pain! WordPress successfully filtered all my spam until three days ago when I was suddenly barraged with it! What’s going on? Not sure what’s happening, Lisa. It was really getting out of hand. As misery loves company, it’s comforting to know that I wasn’t alone. But I do hope something is done to eliminate the spam. I think I’ve logged as many spams as I have visitors over the 2+ years I’ve been blogging on WordPress. I simply click “empty spam” and woosh!!! off they all go into never, neverland. I use to read them, but when I unspammed a few a year or so ago, I got caught up in WordPress’ security system and got spammed out of leaving comments on other blogs. It seemed I was guilty by association. Thanks for the encouraging words, hugmamma. Sorry to hear you got caught up in that. I think I’ve only unspammed one person who turned out to be a new WordPress blogger. I don’t know enough about the motivation behind these mass emails to come up with a solution. They seem pointless and a tremendous waste of time and energy. Filtering the stuff doesn’t seem to work, because I end up going through it all anyway to make sure a legitimate message hasn’t been slipped in with the junk. I wonder what would happen if, instead of ignoring the messages, everyone started replying. Wouldn’t a mass response be just as useless as no response? Charles, as the spammers get paid per click (ppc), they would probably love a mass response. Out of hundreds of emails sent, a tiny fraction may respond. Even so, the spammers will have achieved their goal. It’s time consuming, but – like you – I check to make sure that a legitimate response is not labelled as junk mail. Thanks for writing. But with an overwhelmingly large response, whoever is paying the spammers would be unable to pay, or go broke. Wouldn’t they? Judy, I haven’t had any creep into my real comments yet, that I know of, but I’ve had hundreds caught by Akismet. So far, so good. Some of them just crack me up. Don’t know why spammers waste their time on such nonsense. The click-through rate has to be very low. I guess I’m amazed by their persistence given the poor reception they get. If this were the equivalent of door-to-door salespeople, their shoes would be worn out … and their welcome, too. Thanks for stopping by. I’ve been getting so much spam lately! especially on my blog, I wonder why that is! OH and I got reminded of Monty Python the moment I read the title! LOVE THEM!